Old becomes new again with Bulkhead Interactive’s FPS offering of Battalion 1944. Due out February 1, the early access shooter is looking to get back to basics and show players a simple but refined gameplay experience. Set at the tail-end of World War 2, hopefully this shooter will step away from the recent shenanigans the genre has been bogged down by as of late. For those looking to secure a closed beta invitation the instructions, copied verbatim from the official webpage, are as follows: “If you are applying for the beta, please remember that access is not guarenteed. Beta players are picked at random or have backed the game via Humble Bundle or Kickstarter (at any PC tier).” The beta starts for influencers on January 19, and the unwashed masses will get to partake between January 20 and 22. As per the memo, it would seem that those generating the most pre-release buzz will be the most likely to get tapped for combat (not a bad strategy). 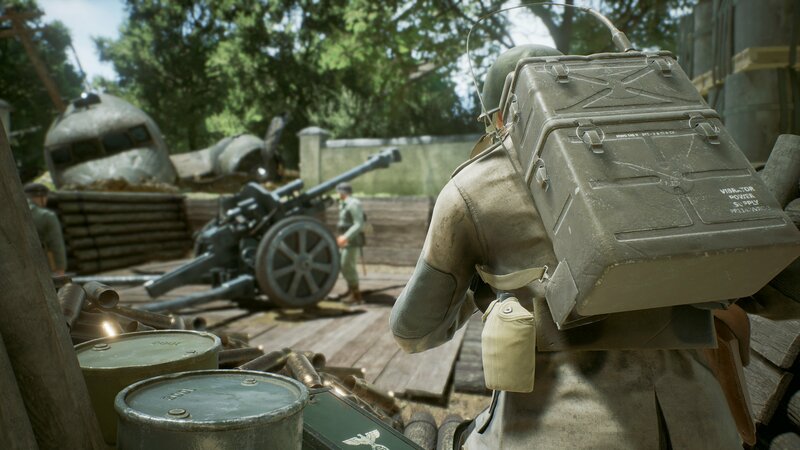 Battalion 1944 blew its crowdfunding campaign out of the water back in March 2016, backers delivering the dosh to the tune of $300,000 USD (roughly 300% of the initial ask). Bulkhead Interactive also shipped The Turing Test, a well-received and atmospheric first person puzzle game, that same year with the help of Square Enix and their curation support program. The Square Enix Collective helps support and showcase indie talent, letting the community vote on what they’d like to see more of. If you are absolutely down for some no frills WW2 FPS action, the cost of admission is $15 USD. Find Battalion 1944 on Steam, read more at their website, and check out the embedded trailer below.